YourAccountCenter offers you a fast and easy way to pay your bill. 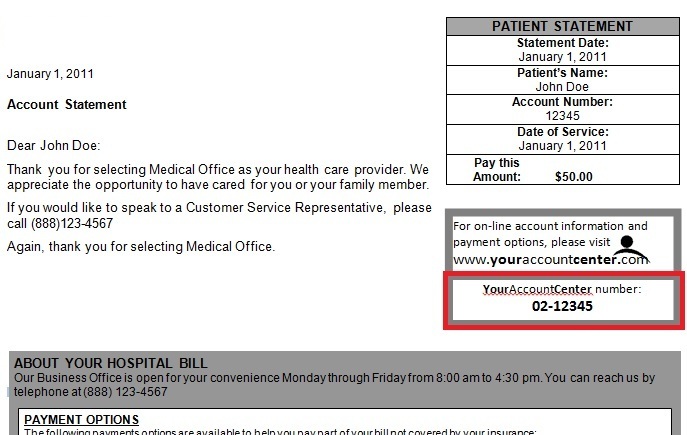 Log in to view your account balance, make a payment, view payment history, and update account information. Pay the way you want, when you want. YourAccountCenter accepts credit cards and electronic checks. Access your account by logging on below. Your ID number can be found on your bill. Click here to see an example. Login Verification To verify your account, please provide the following information.